This tracker comes with a user-replaceable coin battery which will last at least one year, then you can replace it with a new one. Sounds unbelievable, unrealistic, right? Well, we’re not lying, because there is a device called Garmin Vivofit 2 which will not only have an extended battery life, but also follow you at the pool or in the shower. You won’t need to take it off because it’s water resistant and you can clearly see the content on the large display, even if it’s covered with water. 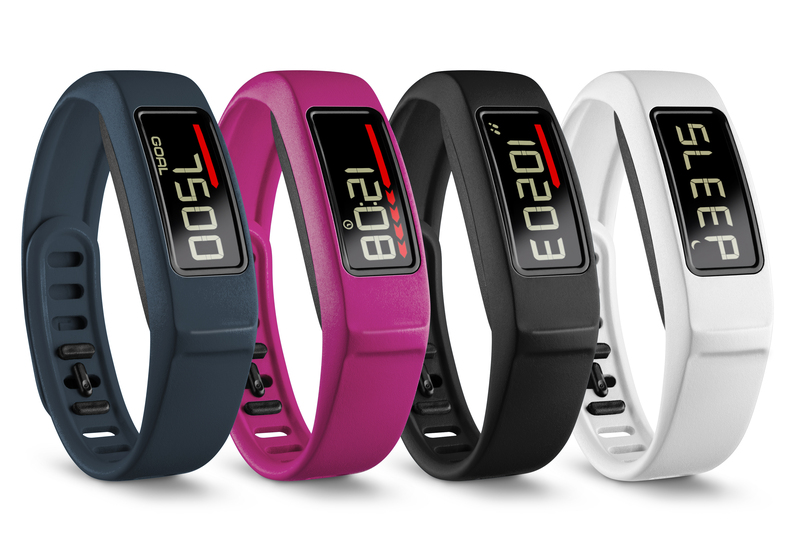 The Vivofit 2 costs $100 in the US, while the equivalent price for the UK is £90 and for Australia is AU$140. This is a very small price, compared to other similar devices, and there are additional features such as the optical heart-rate sensor. If you are a fan of this feature, you may be interested in purchasing an ANT+ chest strap which costs $130 (in the US), £120 (in the UK) and AU$170 (in Australia), to pair it with your Vivofit 2. What can Vivofit 2 do for you? This wrist-based activity tracker will measure all steps that you’ll take during the day, will measure the distance from one location to another, how many calories you’ll burn and how much sleep do you get at night. Vivofit 2 is a big upgrade from the first tracker, receiving a small change in design and a stopwatch function, a backlight and audible alerts to notify you that you’ve been inactive for a period of time. The display has two big advantages – the content is readable under direct sunlight and it shows all the steps you’ve taken, without needing to take out your smartphone. Also, you will know what time it is without pressing a button or lifting your wrist. The device is a bit bulky, being bigger than the Jawbone Up2, which costs less than $100. When you start navigating the device, you’ll be confused at first. You will see a single button on the strap and if you tap on it, you will see the time, date and your activity data, which you can customize. To enable the backlight, you will press and hold the button, and to have access to other functions such as stopwatch, smartphone-pairing settings or mobile app syncing, you will hold a scroll longer. Unfortunately, the tracker doesn’t vibrate likewise the Fitbit Charge or the Jawbone Up2, which are waking up their users with a light vibration. 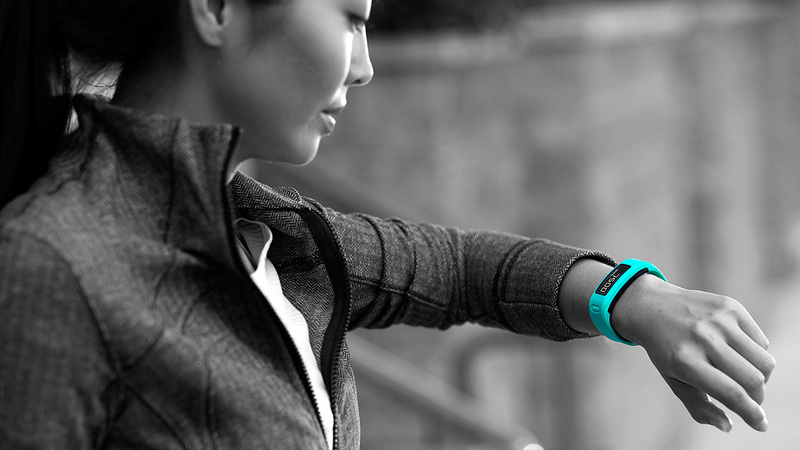 Vivofit 2’s band is made of rubber and has pegs pushing through holes so that the device remains fixed around your wrist. The original model had some problems because it fell off, so the manufacturers added a twist clasp to help the device stay on the wrist. You don’t have to worry about taking off the device when entering the water, as Garmin made it water-resistant up to 5 ATM and it supports around 50 meters of pressure, so you can take a bath or swim in the pool with the tracker on your wrist, and it wont be damaged. The band is replaceable, so if it breaks, or you would like a new one, you can purchase one with a different design, or even one that is made of metal. To access information regarding your daily activities, you will need the Garmin Connect mobile app compatible with your Android or iOS smartphone, you will have the option to customize what you want to see on the display. However, Garmin assures us that the tracker will automatically sync with a smartphone, but in reality, it syncs only at strategic times. This means that the sync will occur only when a certain goal is achieved, or when taking several steps after the devices have been synced. However, if you want to view your recent data on the Garmin Connect app, you will need to hold and press the button on the band. Vivofit 2 has two replaceable CR1632 coin cell batteries and they will make it through an entire year, saving you from charging the device every few days, like other trackers. When the battery does die simply unscrew the back and replace it.